You can create your own custom dimensions — this is one of the greatest advantages of building your own furniture, whether it is a car bed or a wardrobe. In fact, this is one of the primary benefits for small or awkwardly shaped rooms — a chance to create your own, perfectly fitting furniture unit. Can come up with a unique design — and, of course, you also get plenty of room for your imagination — if not in terms of shapes, then at least in terms of colors. You can draw, paint, or incrust whichever designs you have in mind. DIY models usually look simple — note, though, that all do it yourself units usually look rather simple. Sure, if you are an experienced carpenter, this might not be the case with you, but for most people coming up with something sophisticated and complex will be rather tough. Limited production materials available — amateur made furniture and DIY plans are designed with limited materials in mind. The biggest choice you will have to make is whether you are going to work with genuine wood or MDF. Something a bit more fancy, like LED lighting or eye catching finishes is generally out of the question. Require a lot of time to build — do not forget that if you have never built your own furniture before, the first attempt will not necessarily be successful. Sure, there is nothing wrong with learning and experimenting, but if you are in a rush, buying a ready-made bed is a wiser step. Price difference is minimal — and, of course, do not forget that the materials also cost some money. Sure, building your own bed will be cheaper — but not significantly. All in all, making your own car bed design plans or downloading ready-made ones from the Internet is not a bad idea if you have some experience working with furniture and, of course, if you have a lot of spare time you do not mind using for making it. If, however, you think that building your own furniture is a lot cheaper, this is not the best undertaking, to be quite frank. 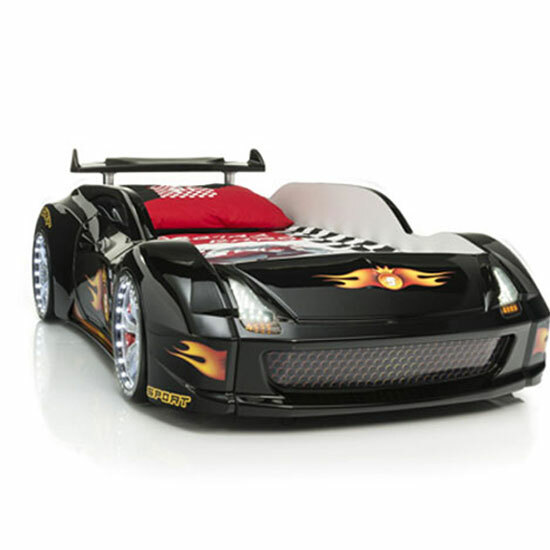 In the UK, there are plenty of different stores that can offer you a lot of very stylish car beds at a reasonable cost. Furniture in Fashion , for example, is one of the best e-commerce platforms that can offer hundreds of high quality solutions at a very affordable cost. And yet another good reason for shopping with this website is that it can guarantee quick delivery to any part of the country.